n collaboration with Sue Spargo , TULIP has developed the perfect Bullion Knot Needle! Each vial contains two needles with two different lengths! Comparable in size to a #1 Milliners. Works great also for French Knots. Sue Spargo Milliners -- Size 15 -- 4/case. Sue Spargo Long Darner, Size 1 -- 4 to a case. Sue Spargo Milliners -- Size 1 -- 4/case. 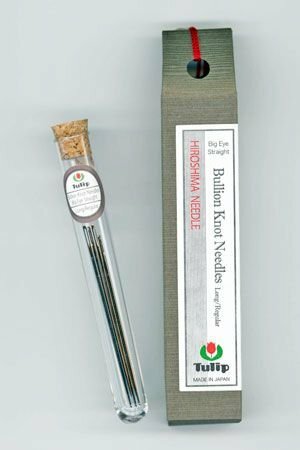 Sewing Needles - Assorted Sizes.